Superheroes are all the craze these days. Everywhere you look you see some sort of a superhero logo or a character on t-shirts, posters, and mugs. There’s no age, race, or gender difference to loving a superhero character. If you’ve been looking for a cool Batman logo template or a Superman logo template to use in your own designs, you’ve come to the right place. Whether you’re working on a poster, a mug, or a geeky t-shirt design, you’ll find plenty of your favorite superhero character logos as well as other superhero-themed logos in this collection. Designers, rejoice! 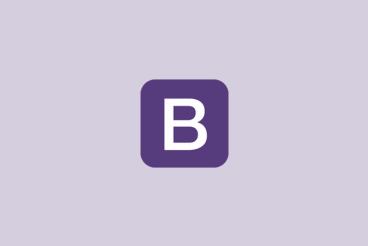 There’s now one tool that can help you create a visual design, do the UX prototyping, generate code and develop apps. And it all happens in one environment. 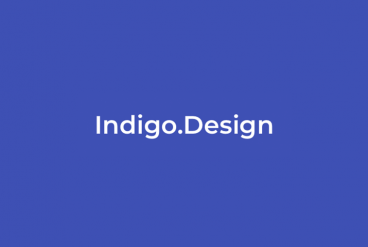 Indigo.Design, from Infragistics, is made so that you can take designs from Sketch and get Angular apps to create modern and fast mobile experiences. Here’s a look at the tool to help you decide if it is right for your projects. Today we’re featuring a collection of easy to use Adobe Premiere Pro templates you can use to quickly craft professional-looking scenes for your videos. 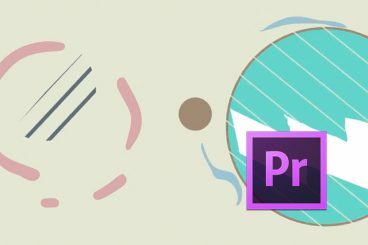 Whether you’re looking to make an opening scene for your YouTube channel, a title sequence for a video, slideshows, or even product promotions, this list of Adobe Premiere Pro templates has it all. The best part is you can download all of these Premiere Pro templates and more to create all kinds of projects for a single price when you subscribe to Envato Elements. Have a look and start downloading. So you need a logo right now? That’s where an Illustrator logo template can come in handy. A logo template is often a kit of pieces to build a vector logo with a few tweaks—such as changing colors or fonts. These are our top picks! 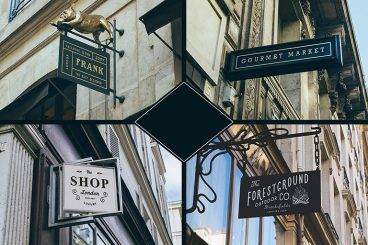 Some of the better logo template options might include multiple elements in a file that you can piece together for a design that’s a little more custom. Just make sure when you are hunting for that perfect logo template, that you find a vector set to work with. Adobe Illustrator files are the most common and will give you the tools you need to create a design that will work at any size when you are finished making the logo design. Here are 20 fun Adobe Illustrator logo templates that we love. 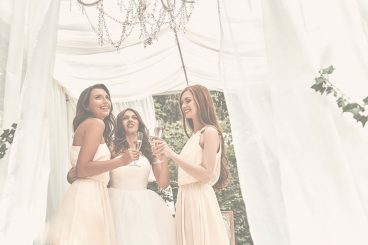 Hiring someone to design your wedding invitations to look exactly the way you want is not an easy task. In most cases, the designers don’t share your vision for the design and they end up designing the card the way they want it to be. 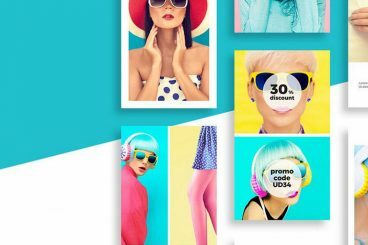 What if you could pick a design of your own, customize it to look the way you want, and print it yourself while avoiding expensive designers altogether? Yes, it’s possible. All you need is a little bit of Photoshop knowledge and a great looking save the date card template and you’re good to go. 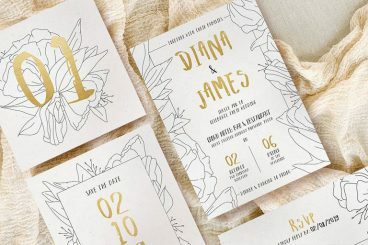 To help with your search, we’ve hand-picked some of the most beautiful and creative save the date card templates you can easily customize yourself. Have a look. Happy New Year! 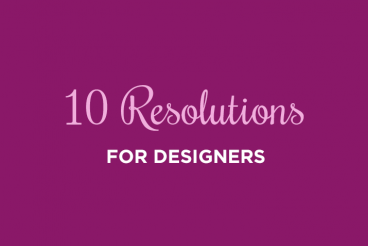 Today, we’ve got a nifty guide to resolutions that are specifically for designers. What changes do you hope to make in 2019? Did you know that people have been making resolutions to improve themselves and their lives since the time of ancient Babylonians? I’ll admit to making a few of these myself… now if I could only manage to keep them all year! Good luck with your resolutions and have a wonderful New Year. 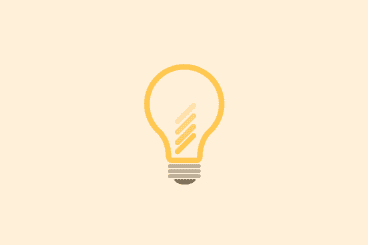 It happens to everyone at some point – creative block. You know you’re in a design rut when nothing seems to work as you expect. Designs aren’t coming together. You’re frustrated and un-energized. While these stages are completely normal, it’s important to have a few tools at hand to break out of a design rut. Here, we’ve gathered a list of creative project ideas to re-engage your brain and get you thinking more creatively again. When it comes to designing posters and banners, there’s one thing that matters the most: the font. A poster without a great, attention-grabbing title is simply not an effective poster. If you’re still searching for that perfect poster font, you’re in luck. 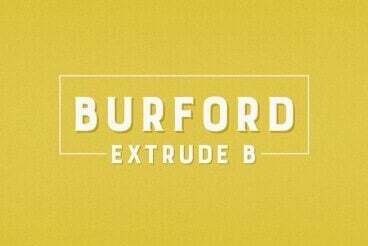 We found a set of fantastic poster fonts that’ll be perfect for any poster design. They’re big, bold, and creative enough to turn heads!